I think my new rating system sums this up perfectly. 4 stars/comets = a great show. And that’s what it was. Although I had two major issues with this book, there were some things that I liked as well. I liked the action and the fast paced writing. It definitely helped me to race through this book. In fact I set a goal to reach in one sitting and to my surprise, I was passed it when I went to check how much more I had to go. Probably my biggest issue with it was the the romance. There wasn’t enough background information on Chase for me to feel like I know him and I just wasn’t a fan of him in general. I think that the romance definitely got better towards the end and I really appreciate that. I just don’t think it was a good thing that I was a bigger fan of two minor characters’ relationship rather than the characters’ who the story is mainly about. The other thing is that I didn’t really take to was the actual story. Sure I thought that the idea of all these different articles was cool but other than that, and despite the quote on the front, there was nothing I thought to be particularly unique about it. I have read loads of dystopian books and it’s getting to the point where a book really does need to be different for me to enjoy it. My favourite character easily had to be Ember’s mother. I just wish she had been in the story more. No matter what I said about the romance, the actual characters were good. Yes, I remember that I just complained about Chase but I did like him as a character…just not the relationship he had with Ember. I’m hoping that will change in the next book when I get to know him better. But yes, Rebecca, Sean, Ember and all those other characters were also great. 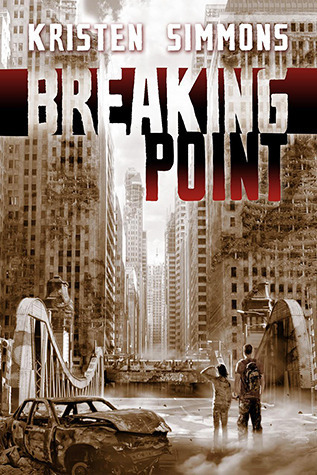 I will definitely be reading the sequel and the third book and hope that Breaking Point raises my expectations and Three succeeds in raising them yet again. Meteor shower – A great show. I was a little unsure of what my rating was going to be for the majority of Breaking Point. There was the good…and the bad. I think the scales tip just slightly at good though. I can definitely say that I liked Article 5 more. I liked the story more and felt that there was more hope for Ember. It seemed a lot more interesting to me in terms of the story anyway. My biggest problem with Breaking Point was that I had a hard time getting into it. It just wasn’t quite unique enough for me and it felt like a lot of other dystopian books that have ended up rating around the same as this one. It got pretty good at 100 pages in though. Especially the last 100 pages. Speaking of the final 100 pages, they were epic. The action kept going and it got pretty exciting. There were a couple of twists and they were pretty good. The thing I do like about the story concept is the Article number things. Like Ember is an Article 5 violates and there are characters that violated other articles…I just thought that was pretty good. I am definitely a bigger fan of the relationship between Chase and Ember in this book because the smidgen of backstory in there definitely helped. 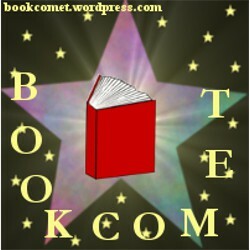 I will be starting the third book very soon and do have fairly high hopes for it. 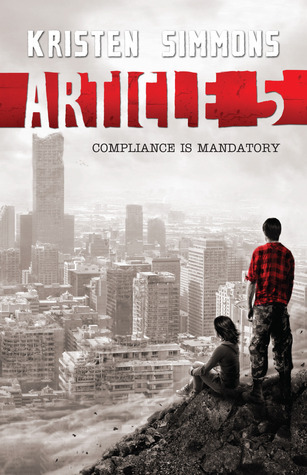 I think it will be better than Breaking Point and Article 5 and I am looking forward to reading it. I am a little curious as to how many books there will be in this series though. Looks like the start of an apocalypse. Nearly there. Source: Provided in exchange for review via Netgalley. This is my honest review. I can’t believe this trilogy is…over. Three days ago I knew virtually nothing about the Article 5 trilogy. Three days later I’ve read the entire trilogy. Three made for a fantastic conclusion. I was very sure that Article 5 was going to remain my favourite in the trilogy but this one hit me hard. I wasn’t sure what to expect because I was a little unsure after the previous book, which was by far my least favourite in the trilogy. But I loved characters I never really thought I would. I mourned characters. I thought about the characters when my mind should have been elsewhere. I got too attached to the characters. The aftermath of what had happened in this world was horrific. This was probably the number one way in which in differs from other dystopian books I have read. That being said, I still don’t feel it brings anything shockingly new to the table but I liked the way there were different “Articles”. Chase and Ember’s relationship has grown on me a lot since the first book and I really like it now. Three gave me as a reader plenty of opportunities to think and I really like that. I’d love to see this trilogy made into a movie. 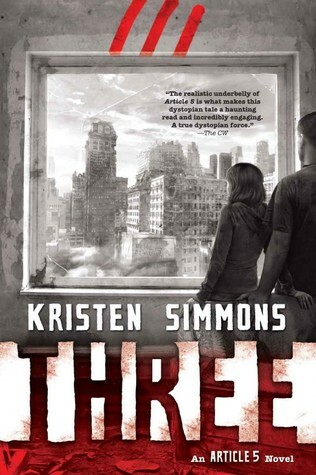 I would recommend this trilogy to dystopian fans everywhere. It’s a good read and a trilogy I really enjoyed. 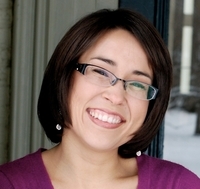 For more updates on Kristen and her writing, visit http://www.kristensimmonsbooks.com or http://www.facebook.com/author.kriste….